Q: iOS prompted me for access to Contacts when I first launched my app, which uses the NSContactsUsageDescription key. I was not prompted in the subsequent runs of my app. How do I get prompted again? A: When your app, which uses a purpose string (also called usage description), attempts to access user's data, the system displays a consent alert that allows the user to grant or deny access to them such as the ones shown in Figure 1 and Figure 2. 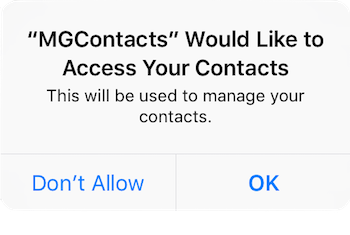 Figure 1 iOS prompting the user for access to Contacts for the MGContacts app. Figure 2 macOS prompting the user for access to Contacts for the QuickContacts app. The consent alert only appears the first time your app asks for permission. To display it again, you must reset privacy settings on your device or system. 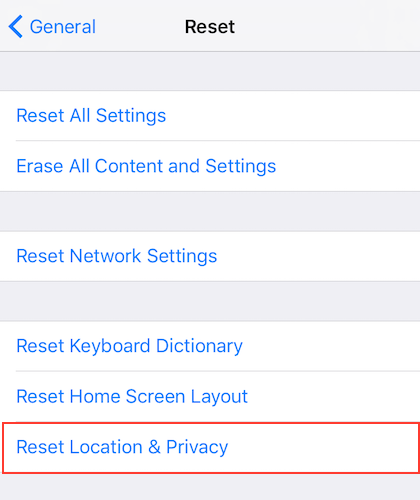 For iOS apps, tap Settings > General > Reset > Reset Location & Privacy on your device to reset all location and privacy settings for your app as shown in Figure 3. Important: Using Reset Location & Privacy will reset location and privacy settings for all services on your device. Figure 3 Tap Reset Location & Privacy to reset privacy settings. For iOS Simulator apps, delete the app from the Simulator or tap Settings > General > Reset > Reset Location & Privacy in the Simulator to reset all location and privacy settings for your app. Important: Using Reset Location & Privacy will reset location and privacy settings for all services in the Simulator. where service is the name of the service for which privacy settings will be reset. See Listing 1, Listing 2, and Listing 3 for examples on how to reset permissions for Contacts, Calendar, and Reminders, respectively. Listing 1 Reset all permissions for Contacts. Listing 2 Reset all permissions for Calendar. Listing 3 Reset all permissions for Reminders. New document that describes how to reset privacy settings for iOS and macOS apps.